A great idea worth watching. You descend smoothly on short final, crossing the fence gracefully to grease one on the numbers at the little airfield outside of town. Rolling out, you feel far more comfortable than you’ve ever felt before in an airplane. In fact, you quietly say to yourself that it feels like your driving a car down the runway. You’ve just arrived in the Transition, the new personal air vehicle (PAV) now in development at Terrafugia. After a quick 90 off the active and past the hold short line, as easy as dropping the top on a convertible, you flip a switch and watch your wings fold inwards into the stowed position. Once secure, you aim the Transition for the airport gate and hit the road…as an automobile. One vehicle for man (or woman), one giant step for mankind. This is seriously cool stuff, boys and Girls. The space age we’ve all been waiting for has finally arrived. When I was a young man, I dreamed long and hard about flying cars, hoping I’d see them in my lifetime. When I read 1984 by George Orwell, I knew the future of humanity would be changing in a big way, and in that far off year – 2001 – life would indeed be a space odyssey. And here we are in two thousand and six, on the very edge of all that coming true. People now LIVE in space on the International Space Station, Big Brother is now watching and listening, and with the Transition, cars will soon fly. Events: The Terrafugia team has been meeting and speaking with pilot groups around the New England to discuss the Transition in more detail, answer questions, and receive feedback from our future customers. They also plan an exhibit at AirVenture 2006 from July 24-30 where they will be taking deposits to guarantee a place in the delivery schedule. Successful Wind Tunnel Testing: Using a combination of two dimensional viscous airfoil analysis and three dimensional vortex lattice codes, the basic design of the outer mold line of the vehicle was isolated in early February at MIT's Wright Brothers Wind Tunnel. The vehicle was swept through angles of attack ranging from -4 to 18 degrees at beta (yaw) angles of 0 and +/- 15 degrees. Data was collected on a six degree-of-freedom force balance, measuring lift, drag, and side force as well as moments around all three axes. We are pleased to announce that the tests confirmed the predictions of the vortex-lattice code: with proper center of gravity placement the Transition is aerodynamically stable, and the stall characteristics are benign. Mechanisms: Preliminary design of the vehicle's mechanisms is proceeding according to our development schedule. This past week we conducted a preliminary design review of the wing folding mechanism. 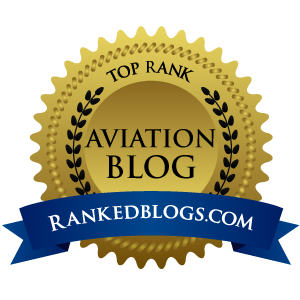 This review was a critical step in mitigating the concerns of many of our potential customers with an automatic folding wing on a general aviation aircraft. We are pleased to report that the preliminary design is moving forward to the detailed, part-design stage. 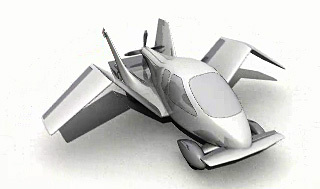 Once the engineering design of all the specific parts have been isolated and analyzed using finite element analysis techniques, key areas for potential weight reduction will be identified and the design will move on to the critical review stage and manufacturing analyses. This amazing upstart company is made up of some of the best and brightest from MIT, and I personally think this project is the most exciting aviation news story out there today. To find out more about Terrafugia or the Transition, visit their website here or email them here. After you do that, if you want to be the first one on your block to own the coolest car every produced, email their sales team here and inquire about making your deposit. 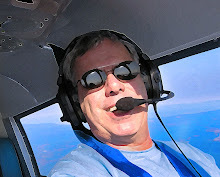 UPDATE 05.15.06: After a recent Terrafugia visit to a pilot group in Nashua, New Hampshire, the local paper tossed around a retail price of $148,000 for the Transition, with a deposit of $7,400 required to secure a projected delivery date somewhere in 2009. I’m sure we’ll see a more solid pricing estimate at Oshkosh, where you can be assured the Transition booth will be one of this reporter’s first stops. UPDATE 05.15.06 @ 830P: I've received a few emails from readers with specific questions about the Transition. After exchanging a couple of emails with Anna Mracek at Terrafugia, I found out the answers to the most frequently asked Transition questions are in their latest PDF brochure, found here. 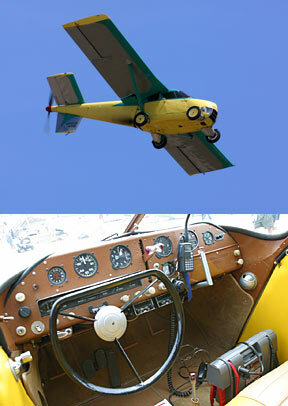 Also interesting reading at this website about what the infamous Aerocar (shown here) has become.